Jack Osbourne found out he had multiple sclerosis just three weeks after having his daughter. The youngest child of Ozzy Osbourne is all grown up, and he's a man on a mission. 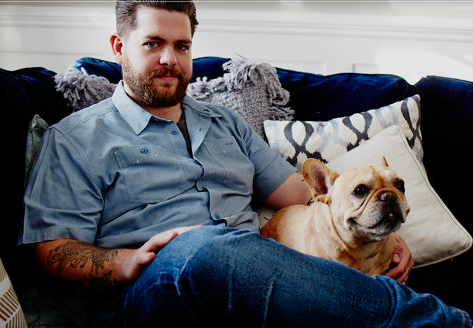 Producer/director Jack Osbourne learned in 2012 that he had multiple sclerosis, and soon after, the TV personality decided to turn his diagnosis into an informational campaign for other MS patients and their families. Its name? "You Don't Know Jack About MS."
The former "Osbournes" star admits that he certainly didn't know "jack" about the disease when he was first diagnosed, and now he wants to make it easier for patients to learn about MS through a fun, personal video series and website. Osbourne talked to CBS News about his campaign. You found out you had multiple sclerosis three years ago, right after your daughter was born. What was going through your head when you found out? It was three weeks after she was born. I wasn't exactly thrilled, to say the least. I didn't really know what MS was, and that's kind of what prompted the start of the campaign "You Don't Know Jack About MS" from my own experience of getting diagnosed and not finding a website that could answer all of my questions. Did you feel like something was off before your diagnosis? What prompted me to go to the doctor was optic neuritis -- inflammation of the optic nerve. I was temporarily blind in one eye and I went to the doctor and they learned about my medical history. Eighteen months prior, my leg went numb and they put the pieces together, doing MRIs and all sorts of tests and determined it was MS. I had heard really pretty tragic stories, so I thought, "Oh my number's up. This is it." Once the panic subsided, I reached out to people and got put in contact with some ppl who had been living with MS for a while and started learning about different treatments and learned it's s****y, but it's not the end of the world. What were you most surprised by when you did learn more about MS? The most surprising fact was actually how many treatments there were available. I didn't know much about the disease and thought, "Well, that's it," so once I learned about the treatments and learned that actually you can have a pretty normal life by all accounts, I was pleasantly surprised. The negative surprise was there's still a great deal of misinformation about MS.
What is the biggest misconception about MS? I think it's that probably people assume once you're diagnosed, you're no longer an able-bodied individual. I do everything from extreme physical activities to day-to-day things. There's nothing I can't do, and I think people assume because I have MS I'm no longer capable. What kind of treatment are you undergoing? I take a three-times-a-week injectible, which has been working really well for me for the last three years. It's pretty cool. What's the simplest way to define MS? I tell people is it's an autoimmune disease in which your body attacks nerve endings and strips away myelin -- a fatty tissue that protects nerves -- and it causes inflammation of nerves. And whatever that nerve is controlling will tend to not work so well. What are some of the day-to-day symptoms for people who are not receiving treatment? It depends on what kind of MS they have. The nerve damage can be pretty severe, at least long-term problems, so there's literally a dozen areas, which are commonly affected from taste to smell to sight to touch sensitivity to hot and cold to the more extreme of losing mobility.